Food Makes Me Happy: Western Dumplings - with Sausage, Cheese, and Corn! An empty stomach crisis!? My God! Nice western dumplings. I like! Dumplings are easy. I find myself preparing in batches and freezing them. When I returned from work, voila! I just need to boil them! Haha I've been having the same crisis everyday! And this is the best remedy for me at this moment - Japanese style shabu shabu with Kobe beef! I'm in love with dumplings! Next time I should try to make "ton bao!" I'm so lazy. I go to Ranch 99 and I buy frozen dumplings there. So convenient! 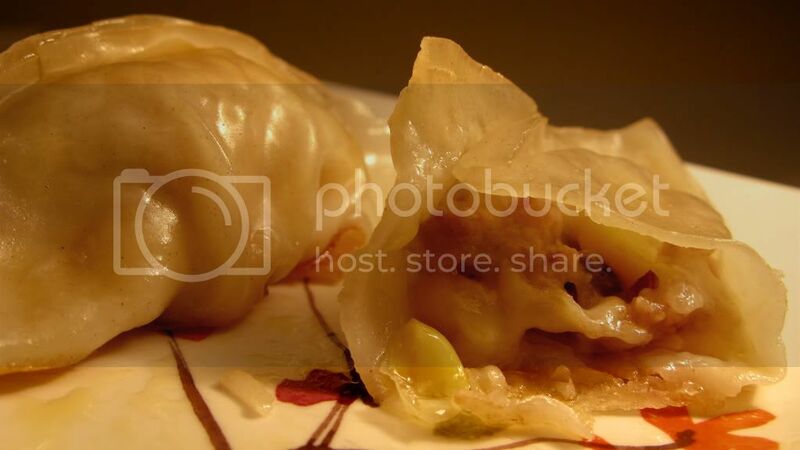 Your ingredients for your Western dumplings are interesting and sounded tasty! Wow you're back to the blogsphere! What you gonna be for Halloween? ?